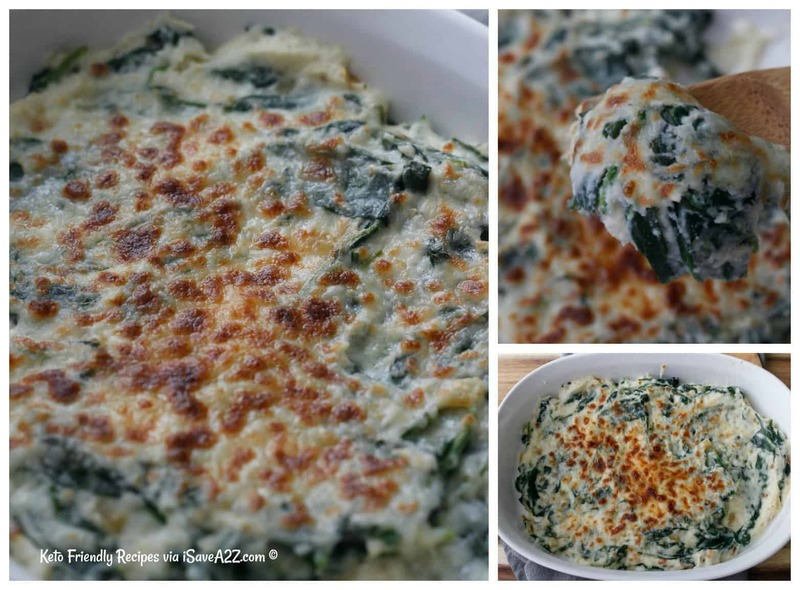 This Low Carb Cauliflower Creamed Spinach Recipe is one of the best side dish recipes ever! No, seriously! It’s totally worth trying! 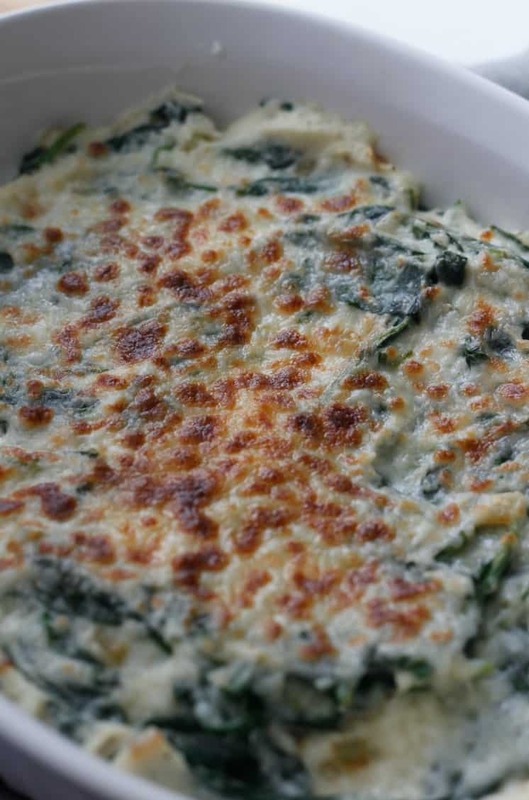 When the family raves about it and asks you to make it again the next night, you know it’s darn good. 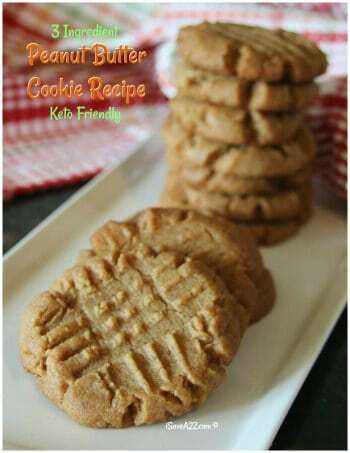 You might want to double or even triple a batch when you make it. 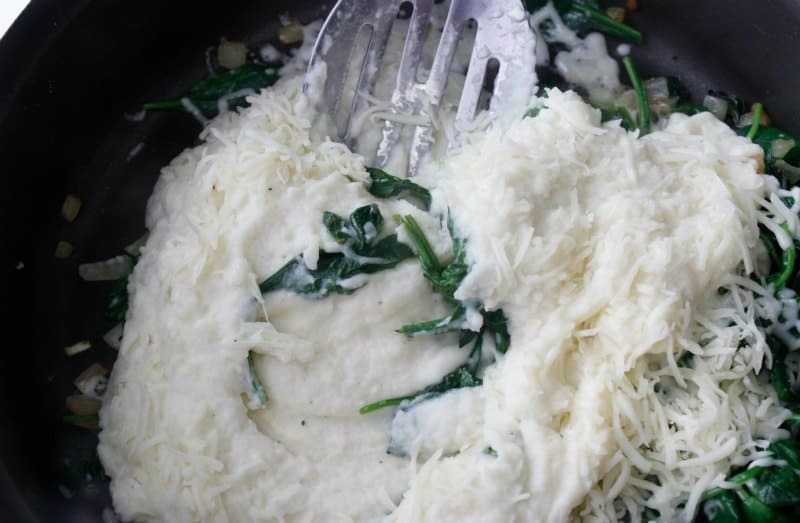 We prepared this using a whole head of cauliflower but you can also purchase a bag of cauliflower at the store already chopped up. I know Costco carries it! 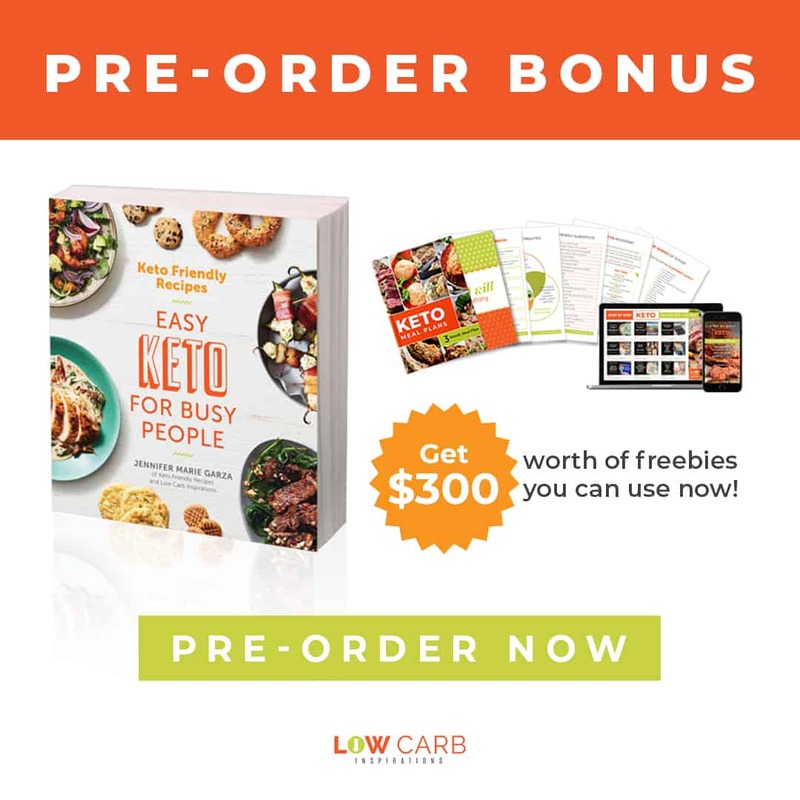 Speaking of Costco, if you are a regular shopper, you might appreciate this Costco Keto Printable Shopping List. 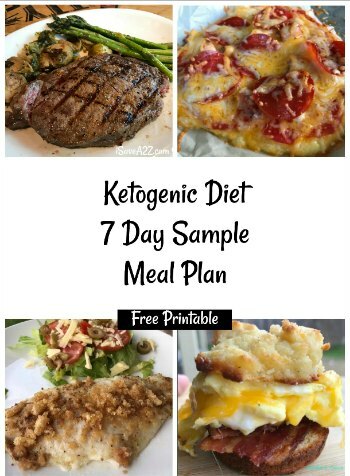 It’s especially helpful for those just learning about the Ketogenic Diet. 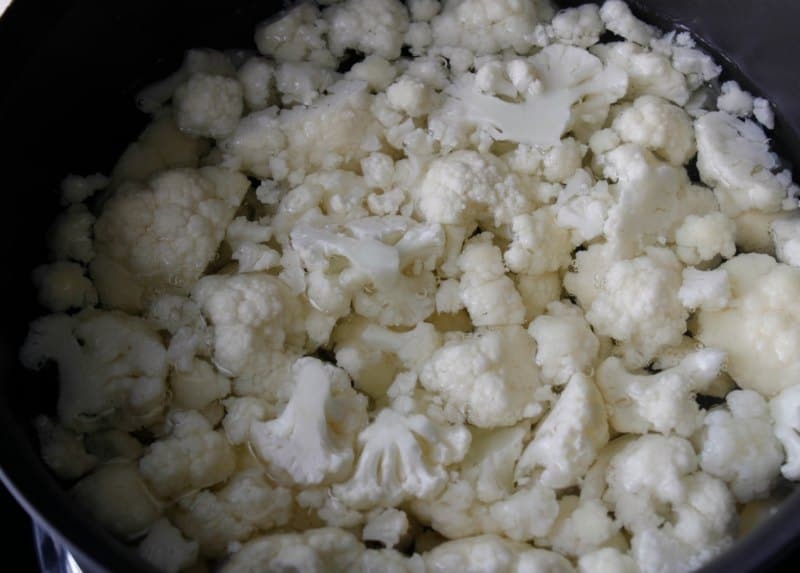 In a medium pan, bring water to boil and place cauliflower, cooking for 10 minutes. 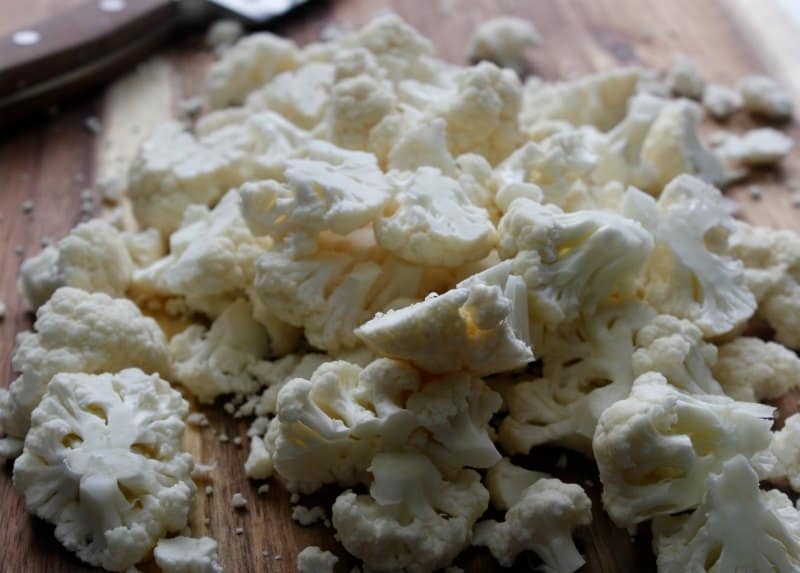 Using a slotted spoon remove cauliflower into a food processor. Add in cream, butter, salt & pepper. 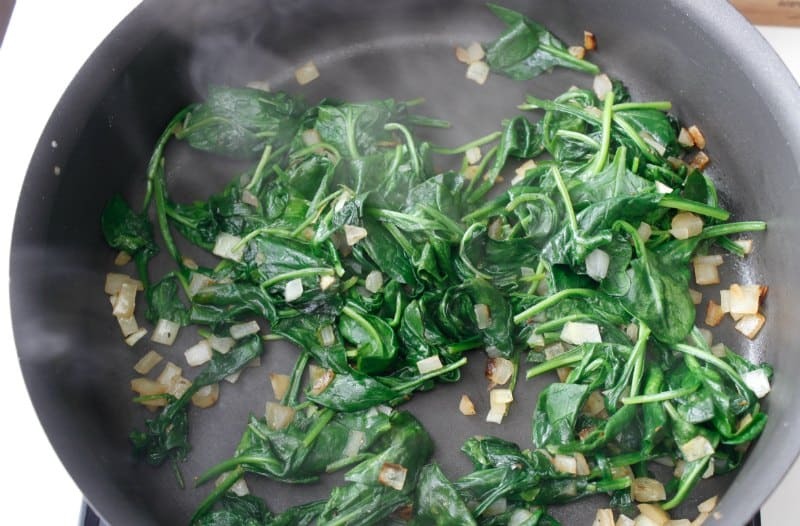 In a large cast iron skillet saute onion with olive oil. 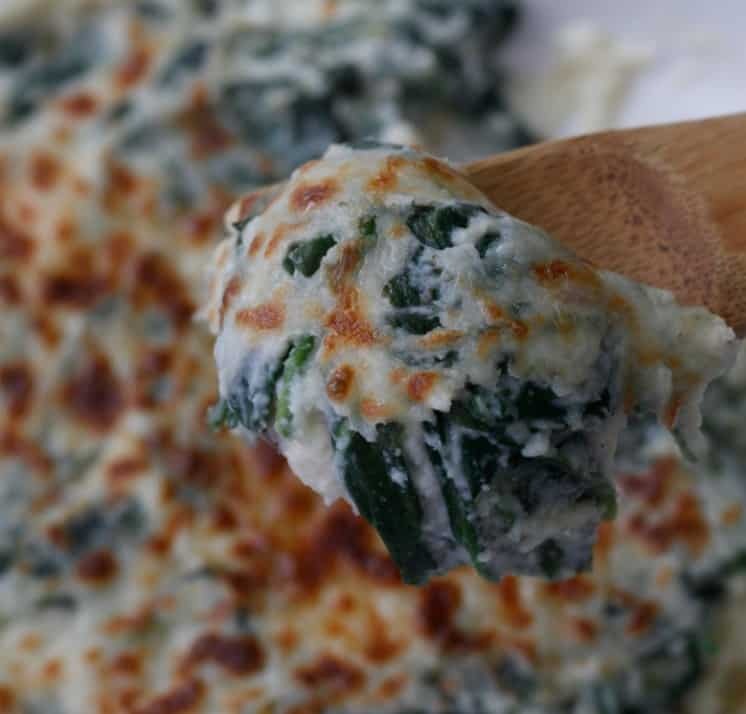 Add in mozzarella, spinach, nutmeg, ground cloves and salt and pepper to taste. 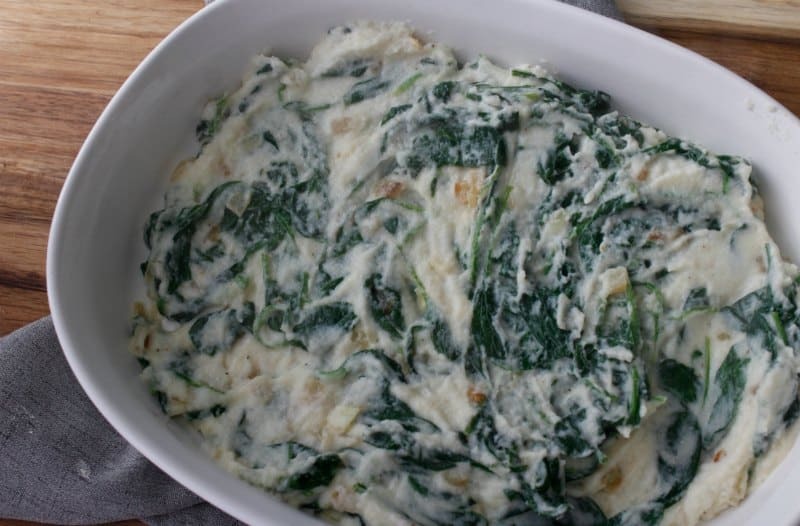 Mix in Cauliflower once spinach has wilted and stir. 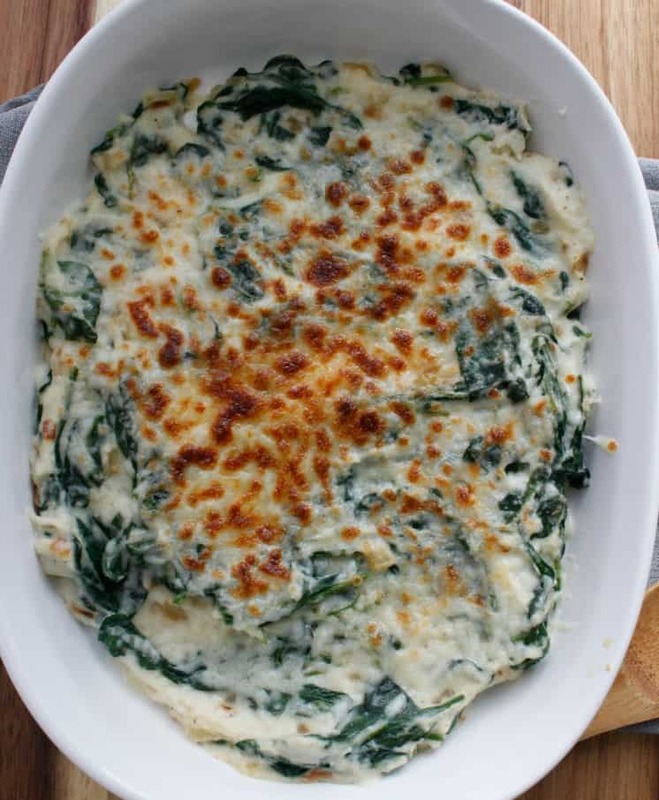 Place skillet in oven under broiler for 3-4 minutes until cheese has browned. 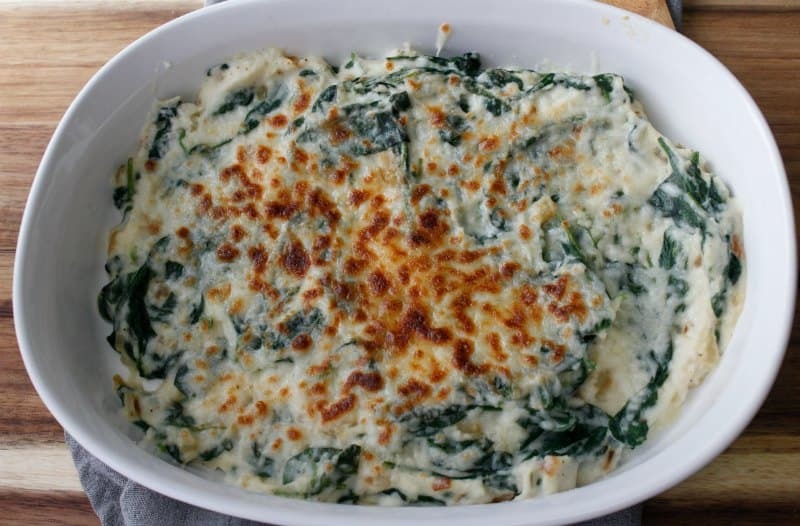 If not using a cast iron skillet, place in an oven-safe dish. 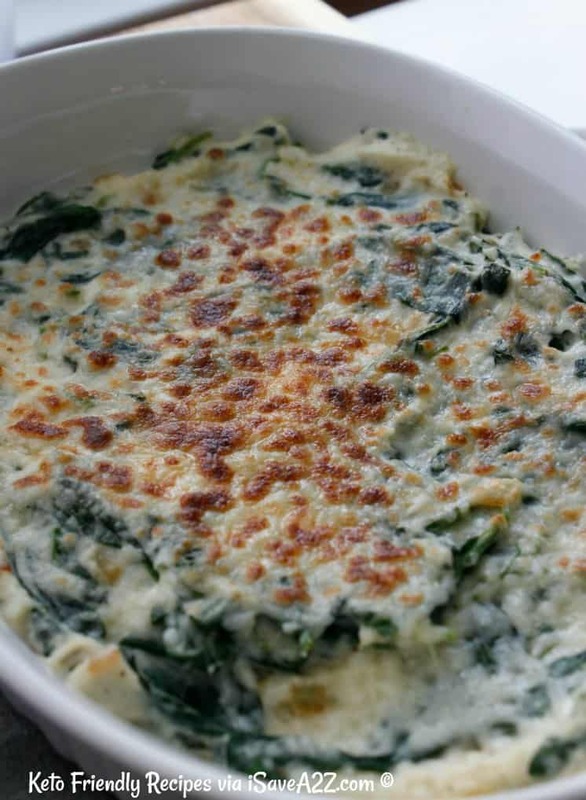 Don’t forget to pin this Low Carb Cauliflower Creamed Spinach Recipe on Pinterest! 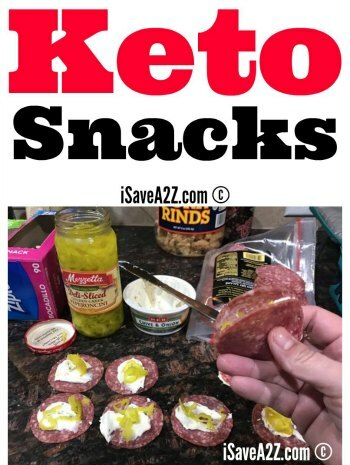 By Jennifer on July 30, 2018 Keto Appetizer Ideas, Keto Dinner Recipes, Keto Friendly Recipes, Keto Lunch Recipes, Low Carb Recipes, Main Dishes, Recipes, Side Dishes.